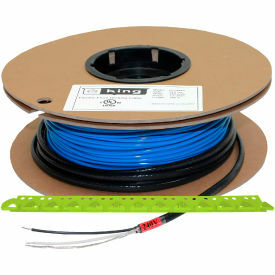 King Electric Floor Heating Cable FC12180-3 with Strapping 120V 180W 15 Sq. Ft.
King Electric FC Floor Heating Cable FC12180-3 with Strapping 120V 180W 15 Sq. Ft.